For 50 years, manufacturers around the world have trusted TC Transcontinental to deliver high-performance advanced coating services, from medical-grade polyurethane to optically clear adhesives. Our z-directional conductive film and coated foil products are used in a variety of applications, including medical and other types of electrodes, medical diagnostic devices, lithium-ion batteries and capacitors, and electronic whiteboards. Learn more about our z-flo® branded product line. The z-flo® brand of advanced coatings is recognized around the world for delivering high-performance conductivity and reliability. Whether you require advanced medical diagnostic equipment film conductivity or conductive film for interactive whiteboards, our team can help find the right solution for you. Like all of our products, our z-flo® branded products are manufactured in ISO-certified manufacturing facilities in the USA and the UK, both having multiple coating lines and clean rooms. And, our ISO-certified converting and distribution center in China allows us to have a truly global reach for your business. Their precise coating, uniformly dispersed conductivity, and “through” conductivity make our films ideal for use in a variety of compact and lightweight medical diagnostics and treatment devices. Applications include electrodes for patient monitoring, defibrillation, and muscle stimulation. z-flo® current collector products help assure reliable power and performance for batteries, as well as industrial applications for communication and transportation. This includes lithium-ion batteries, lithium polymer batteries, and lithium metal polymer batteries. The z-flo® brand of conductive coated aluminum foils—also called primed aluminum foils or cathode current collectors—come in a wide range of aluminum foil thickness, length, and roll length. TC Transcontinental z-flo® battery electrode separator films with ceramic coatings provide multilayer fuse protection for thermal extremes of the Li-Ion battery. 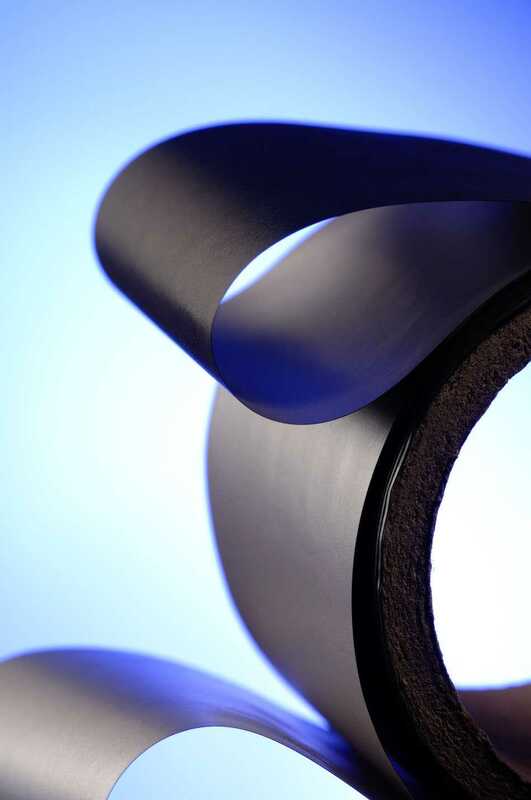 TC Transcontinental coats the thinnest films possible in the single micron range with high tensile strength and high uniformity of coated surface. Manufactured in a clean room environment, with digitally enhanced particle inspection for assured quality. The z-flo® brand of conductive films is used throughout the world in electronic whiteboards that interface with computers and assure a reliable contact that generates coordinates for precision mapping. We also produce superior dry erase film surfaces for use in passive (static) and electronic (interactive) whiteboards. They also resist corrosion and attack by chemicals, provide adhesion for coatings or laminations, will not fail, and provide surface conductivity, as well as “through” connectivity or conductivity in the z-direction. Lithium battery current collectors, lithium-ion batteries, lithium-ion battery separators, lithium polymer batteries, supercapacitors, ultracapacitors, Iontophoresis electrodes, cathode current collectors, corrosion-resistant electrodes, cosmetic electrodes, custom designs, DMI/RFI shielding, defibrillator electrodes, dry erase whiteboards, electrochemical capacitors, electronic whiteboards, electrostatic discharge protection, fuel cells, heating pads, medical electrodes, monitoring electrodes, stimulator electrodes, and TENS electrodes. At TC Transcontinental, our unique combination of world-class facilities, customized equipment, skilled personnel, and expertize results in products with the optimum balance between cost and performance. If you’re interested in learning more about how our z-flo® branded products can help your business thrive, then fill out an online inquiry. One of our colleagues will be happy to work with you to meet your business’s specific demands and goals.